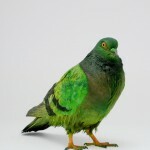 Would you be nicer to pigeons if they were green? Artist Julian Charrière gave the despised pigeons of Venice’s St. Mark’s Square a flamboyant makeover in green, blue and red. Tourists went nuts for the pretty birds. What did the other birds think? Keep reading Would you be nicer to pigeons if they were green? 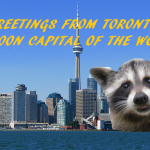 A “Nature” documentary salutes Toronto’s high density of urban wildlife, but tourism officials want to hide their light under a bushel. A big campaign blocked–for now–what would have been the UK’s biggest breeding farm for laboratory beagles. About 75,000 U.S. dogs are being tested on; the biggest US breeder, Charles River, has 736 dogs. 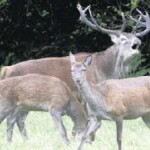 During the mating season all animals become a bit careless, more aggressive and more visible. In the U.S. hunting seasons are timed to fit the rut to make it much easier for hunters to find and call the animals. It’s interesting how Brits think that’s just too easy and unfair. In London, the Royal Mail just announced a series of special stamps showboating adorable rescue dogs and cats from the Battersea Dogs and Cats Home done in loving photo portraits. We’ve had some spay neuter stamps in the US. You can still get some HSUS ones from Zazzle. 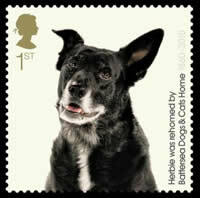 But these Battersea stamps beat everything. The London shelter is 150 years old, the oldest shelter in England. Like all shelters, it’s been hit hard by the recession and just instituted a waiting list for animals to get in. The postage is hardly political, but they do highlight that you can get a healthy, charismatic, gorgeous animal from the pound. And that’s something coming just after the BBC documentary Pedigree Dogs Exposed and its fallout rocked England‘s purebred community. Plus, the first day of issue had two fantastic paw prints (one cat, one dog) as a cancellation stamp, PostalHeritage points out. Maybe Battersea will get a boost from the stamps. A British squirrel watcher has discovered a way to get her backyard visitors to put coconuts on their heads like they are astronauts on an adventure. Jane Roberts in Fareham, Hampshire (near Portsmouth) first gave the gray squirrels coconuts to distract them from the bird seed. She hangs to coconuts from a closesline–much the way people in the midwest dangle ears of hard feed corn for squirrels (and their own entertainment). Apparently all the squirrels in this little town like their coconuts. A couple years ago the Daily Mail profiled a squirrel that would lift a coconut over his head to eat it in the yard of Vicky Walker, in Portchester, Fareham. I’ve never known a squirrel to eat coconut before. Then again, I hate coconut, so I’ve never tried to inflict it on them. Maybe I’ll see if my current patient, Mickey, who loves avocado, would like some. We have plenty of white squirrel capitals of the world. I’m adding Fareham to my map of places to see interesting squirrels. Fareham is now the Coconut-Eating Squirrel Capital of the World. Starlings over the West Pier, Brighton,courtesy of Howzey. In the U.S. starlings are slaughtered by the millions, but in their native England they are enjoyed as one of the most mysterious spectacles. 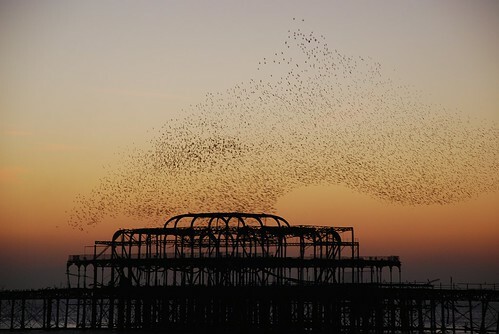 Nature groups give tours of the starlings, but you can just show up yourself at dusk at the Brighton Pier, where 50,000 some starlings murmur–that is, swarm in a hypnotizingly coordinated dance in an effort to evade the hawks that are trying to eat them. The starlings have always hung around Brighton, Sussex, but moved to the pier after a big storm knocked over their favorite trees in 1987. Their supporters think that’s just as well: the setting is gorgeous; the birds are safe from people; and the city is safe from guano. “You could not really have them in a more ideal spot. 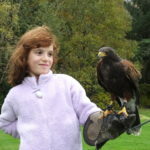 It is a great spectacle to have 50,000 birds in a big town wheeling about,” Steve Berry from English Nature told Regency Brighton. Starlings are legally protected in the UK; their numbers have fallen 66% since the 1970s, the RSPB reports. Starlings (Sturnus vulgaris), clever mimics with shimmering, multi-colored feathers, are treated far differently in the U.S. The 200 million that live here are treated an invasive species and pest here, topping the biological services hit list. The U.S. Department of Agriculture, improbably still in the business of mass culls of animals, especially predators, kills 1,117,000 starlings a year. The latest chapter in England’s purebred dog scandal is the Bateson report, which makes drastic but common sense recommendations on how dogs should be bought and sold. 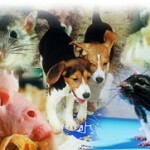 It recommends breeders stop inbreeding, breeding for extreme traits and breeding dogs with genetic defects. The aggressive BBC documentary Pedigree Dogs Exposed showed all of these, prompting a national scandal. The inquiry also has blame and advice that ordinary dog owners worldwide should follow: if you must buy a pedigree puppy, insist on seeing its mother. In addition to genetic defects, these places often pass on bad hygeine and socialization. He mentions one Irish “puppy farm,” the Britishism for puppy mill, that produced 5,000 puppies a year. Who would want a dog born out of that misery?